I’ve already written about Lidewij van Wilgen, owner/winemaker of Mas des Dames, who I met this past spring, while vacationing in the Languedoc. I received a tip that a Dutch woman produces great wines nearby and was about to publish a book about her experiences. Intrigued, I drove to her estate and met her briefly. She invited me the next day to a tasting for 13 sommeliers from top restaurants in London. After tasting the wines, I was thoroughly convinced. I contacted the importer, purchased the wines and invited her to do a tasting/launching for her book Het Domein, which took place in Wijnhuis Zuid on May 15th. I thought Mas des Dames looked like a great place to do an apprenticeship: small yet not too small, and fully committed to producing the best possible biological wines from a domain with a great terroir and a broad variety of grape varieties, including 90 year old Alicante Bouschet vines. Not only that, it was a 15 minute drive from where I was staying, and Lidewij seemed to be just the kind of earnest and enthusiastic soul I was looking for as a teacher. So on a lark, I proposed the idea and she agreed. One of the most single important decisions a viticulturist/winemaker has to make is when each parcel of grapes should be harvested, in respect to ripeness and climatic conditions. This is also one of the most difficult aspects of winemaking, as the weather and managing a group of pickers can complicate things. But our day begins by collecting a random sample of 200 grapes in a particular plot, one of many such samples we will be collecting. These will be taken by the oenologist Xavier Billet to a laboratory in Béziers to have their sugar ripeness (potential alcohol), total acidity and Ph measured. More often we simply walk through the vines, sometimes with a spectrometer in hand to measure the potential alcohol in the grape juice, but even more important, we taste the grapes, biting through their skins, sucking their juices, examining the pips to check for phenolic ripeness. This is still the most trusted way among farmers in France. 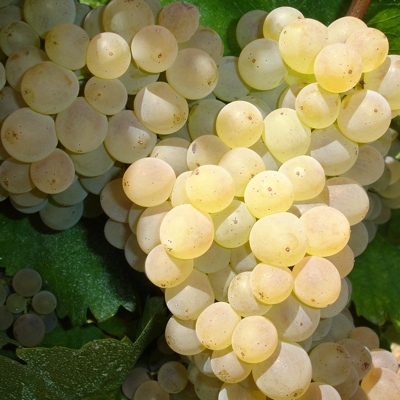 The challenge with the thin skinned but succulent Grenache Blanc is that it is prone to rot and is oxidative, so care must be taken that it enters the cave as rapidly and as intact as possible. The real work begins in the fields with the pickers and the freshly harvested grapes arrive stacked in crates on a flatbed trailer pulled by a tractor to the cave, where we wait at the sorting table. 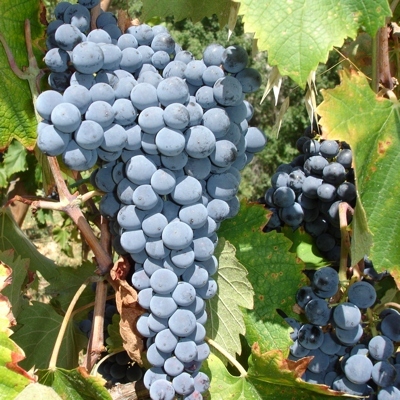 We work with tempo as the grapes are coming in by bunches: dessicated grapes are fine, as they are particularly sweet. Grapes with grey rot are removed, along with leaves, weeds, snails and insects like earwigs, spiders, ladybugs, and beetles. Yes, biodiversity does come with a biological vineyard. From the sorting table the grapes go in whole bunches into the egrappoir, a machine which removes the grapes from the stem. The grapes are lightly crushed, then pumped through a large hose directly into a modern, horizontal air bag press. This ensures that the grapes are pressed gently and evenly, avoiding the crushing of pips which leads to astringent wines. With white wine, we are only vinifying the juice, so this is directly pumped into a 80 hl vat which is sealed with CO2 to prevent oxidation. In total, we harvested 50 hl from 1.5 ha of land on two plots. Our first sample registered a densimeter/mustimeter reading for 12.5% potential alcohol, and the second lot, harvested later in the morning under the hot sun, showed 14.5%. For this reason, all work stops in the vineyard in the early afternoon. 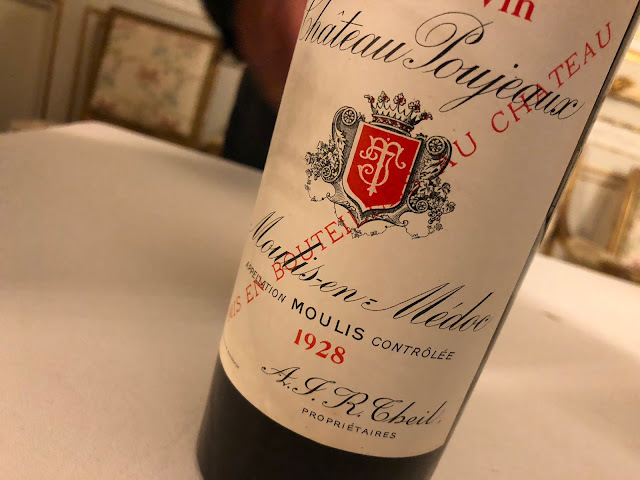 Fortunately, the juice had a measure of 3.8 acidity, which Xavier Billet says is very good for Grenache Blanc, and I agree: my experience with the Mas des Dames Blanc is that it has surprisingly good acidity and freshness for Grenache Blanc. The quality of the juice is paramount: you can only work with the juice, it is the basis for everything. And it tastes simply delicious, unlike any juice I’ve tasted before, sweeter but also fresher, more alive. This is the basis for the wine, and now I understand the expression “winemaking is done in the vineyard,” as it is possible to make bad wine from good grapes, but it is impossible to make good wine from bad grapes.